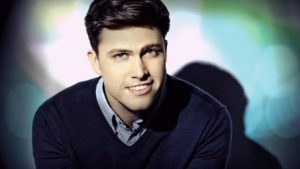 Perhaps best known as the head writer and “Weekend Update” co-anchor for “Saturday Night Live”, Jost’s prominence and talent also were on display in September 2018, when he and fellow entertainer Michael Che co-hosted the 2018 Emmy Awards. In his own right, Jost has been nominated for nine Emmy awards. He has earned three Writers Guild awards and a Peabody Award – which recognize achievement in writing and in story-telling, respectively, across diverse media platforms.